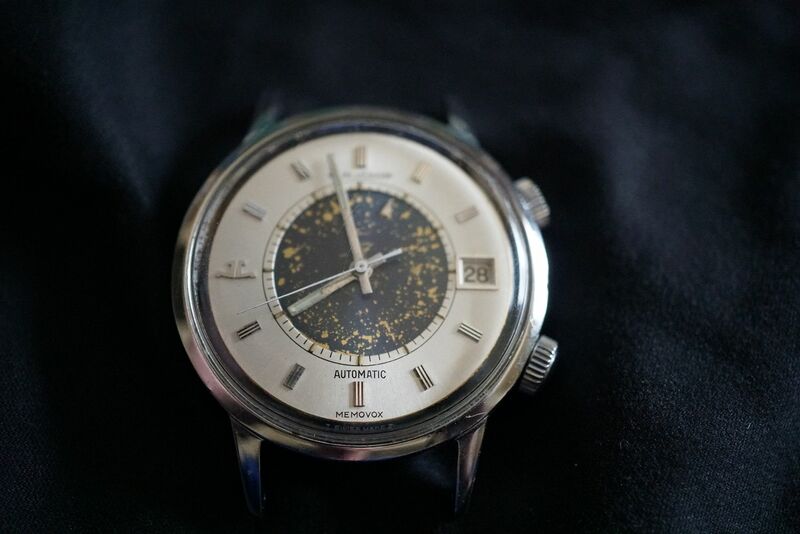 - EXCELLENT vintage condition, as seen in the photos: case is very sharp, shows light signs of use. Outer dial has hands and indices showing signs of age. Outer dial itself is clean. The inner dial blue paint has flaked off to remove the bronze(?) metal underneath. Attractive and modern presentation, yet a very handy complication on the wrist. Serviced in 2017. The top crown is used to set the internal clock, bottom to set the time. 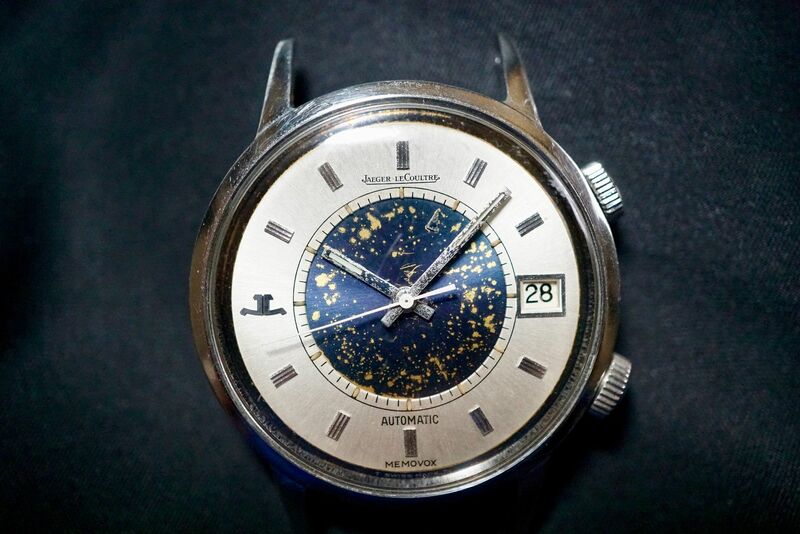 The model produced in the years 1970-1981 in the amount of 7731 pieces in four versions: steel with a blue dial, steel with silver-cream dial, steel with two-tone blue and cream-colored dial (this one), gold with a gold dial. Watch visually very balanced. 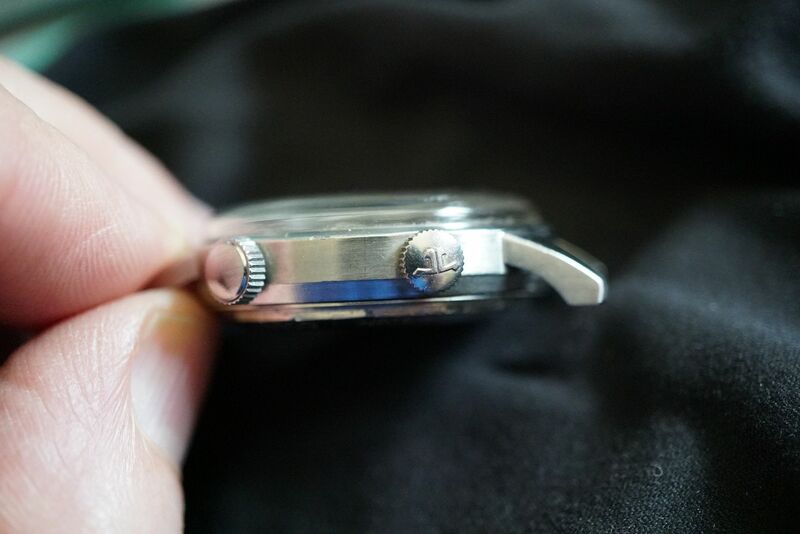 The width of 37mm, 46mm L2L, between the ears 18mm.The case finished with alternating planes brushed and polished. Plastic glass. 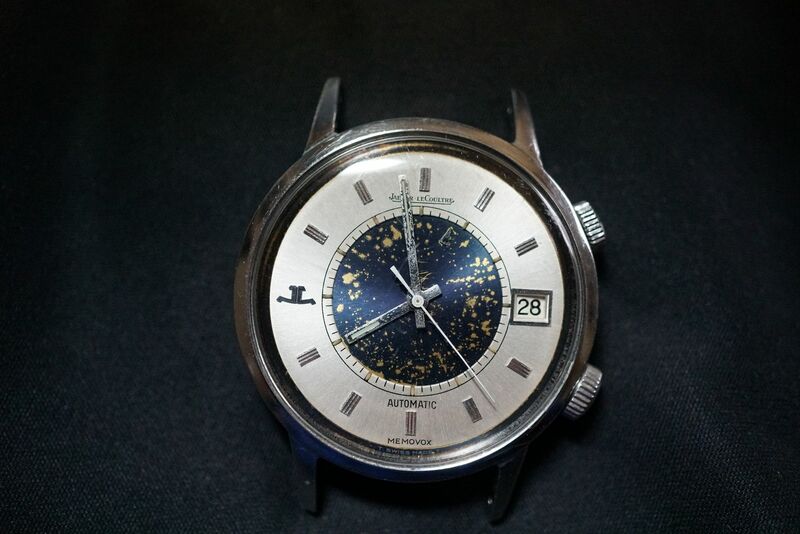 Beautiful dial with sun changes color depending on the light from gray-blue to deep dark-blue. Harmonious spread accents on the dial: the logo on 9, Date at 3, the name of the manufactory for 12 and 6 model name. Inside is ticking already legendary caliber automatic 916. This is the first fully automatic rotor in a Memovox where, unlike with bumpers, can perform a full rotation of 360 degrees. This caliber, among others, replaced the earlier 825. 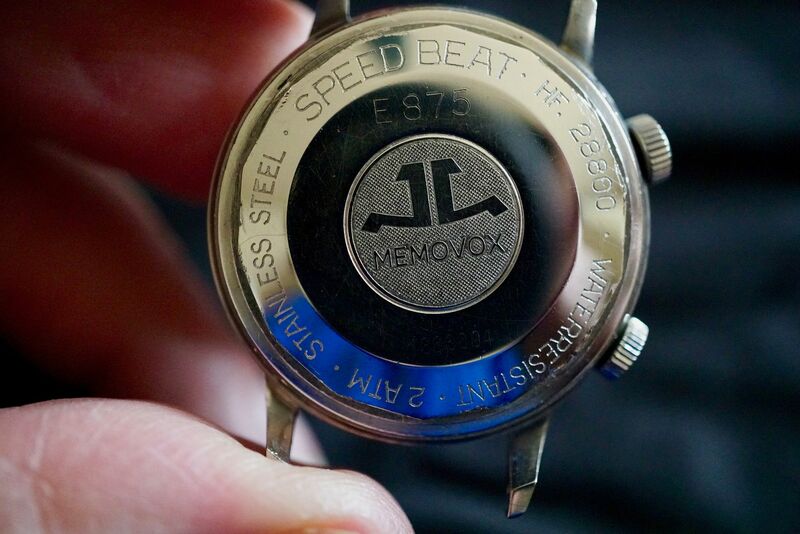 Another modification was to increase the frequency of 21600 to 28800, thus the nickname "Speed ​​Beat." Comes on generic vintage style strap. Lugs are perfectly shaped and crisp. 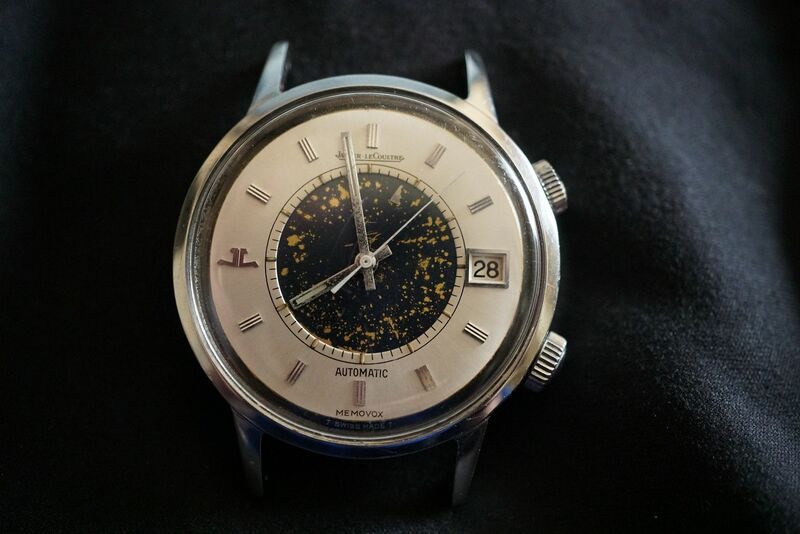 One crown genuine JLC Memovox, one replacement, scratches on plexi, The middle of the case is brushed and top and bottom are polished. There is a lot of watch here! Tritium plots along the railroad track are intact and robust, but of course, there's no glow left. 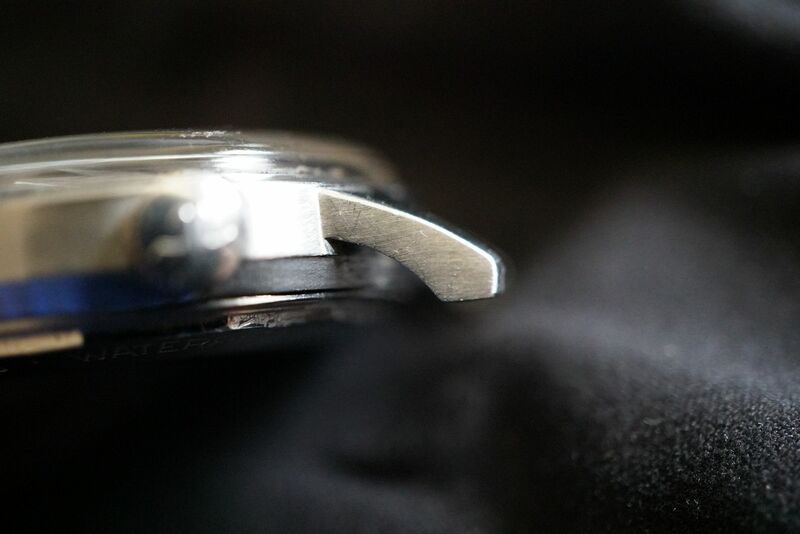 The outer blue ring (outside of the silver dial) also shows some chipping, again this adds to the vintage character. Excellent condition for age. All engraving on the back including model number and serioal number visible, readable and original. 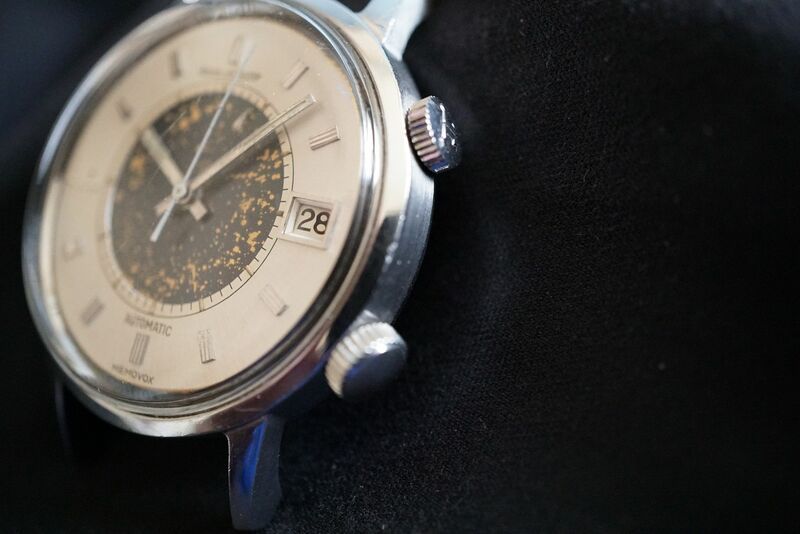 I doubt the back has been polished as the JLC insert is perfect, including the cross hairs.